Locality: United States, Colorado, Custer, 1/2 mile below Hermit Lake, Middle Taylor Creek, Sangre de Cristo Range. Habitat: Along stream course, Picea asso., partial shade. 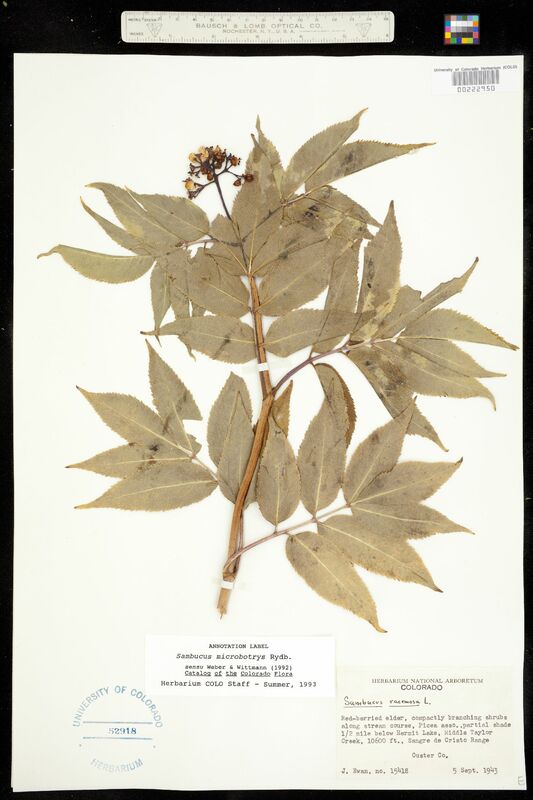 Notes: Original ID as Sambucus racemosa L. Red-berried elder, compactly branching shrubs.